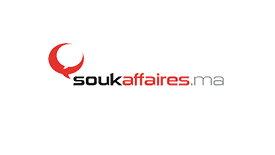 Soukaffaires.ma, an online portal for free classified ads, targets Moroccans from here and abroad. Soukaffaires.ma gives you the opportunity to publish and consult offers free of charge in all areas (real estate, cars, dating,…) and has an offer for both individuals and professionals. The search is simply carried out according to three criteria: the geographical area, the universes and/or keywords.